What Tools are Needed to Build a Drone? New Steinel Heat Guns Now Available! 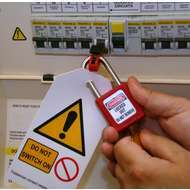 IDEAL lockout / tagout products provide a cost effective and safe solution in the management of electrical safety and circuit isolation in the workplace. 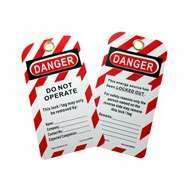 IDEAL lockout/tagout decices help to achieve compliance with current regulations. 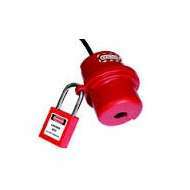 The range includes lockout / tagout kits, safety padlocks, lockout hasps, circuit breaker lockouts, MCB lockout devices, plug lockouts and more. IDEAL Electrical plug cover small 120V -240V. IDEAL Electrical plug cover small 120V -240V. IDEAL Electrical plug cover small 220V -500V. IDEAL Electrical plug cover small 220V -500V. 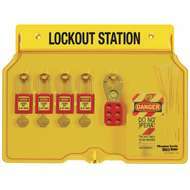 IDEAL Universal MCB lockout device - plastic, yellow (small). 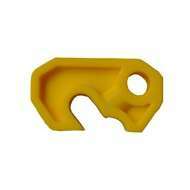 IDEAL Universal MCB lockout device - plastic, yellow (small). 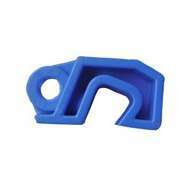 IDEAL Universal MCB lockout device - plastic, blue (large). 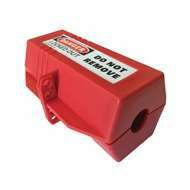 IDEAL Universal MCB lockout device - plastic, blue (large). 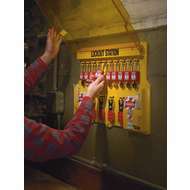 Allows up to six workers to lock out a single energy source. Allows up to six workers to lock out a single energy source. 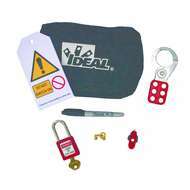 The IDEAL 44-5833EU Heavy duty do not operate Lockout tags. The IDEAL 44-5833EU Heavy duty do not operate Lockout tags. IDEAL Lock station 5-10 locks (station only). IDEAL Lock station 5-10 locks (station only). 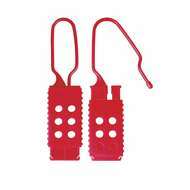 Infinitely adjustable safety hasp and cable Ideal for multiple circuit breaker panels. 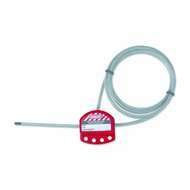 Infinitely adjustable safety hasp and cable Ideal for multiple circuit breaker panels. Aimed at the domestic installer. Aimed at the domestic installer.